This long-awaited 527-page publication, comprising eight “books,” presents an account of the Americanization of Santa Barbara County from 1796 to 1925. In addition to Tompkins’ text written in the easy, familiar style readers have enjoyed over the years, the 8 1/2 by 11-size volume includes over 300 illustrations, eight appendixes, a comprehensive bibliography, and an extensive index. Never before published, Tompkins' first major local history has finally been launched. 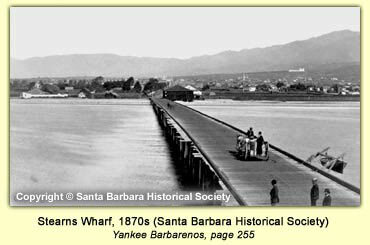 Harbored in the Santa Barbara Public Library reference section since the 1960s, his manuscript has been updated and augmented to give the golden region he loved another look at its past. Copyright © 2005-2018 RT Productions - All rights reserved.